The memorial windows are to the memory of those parishioners who fell in the war. 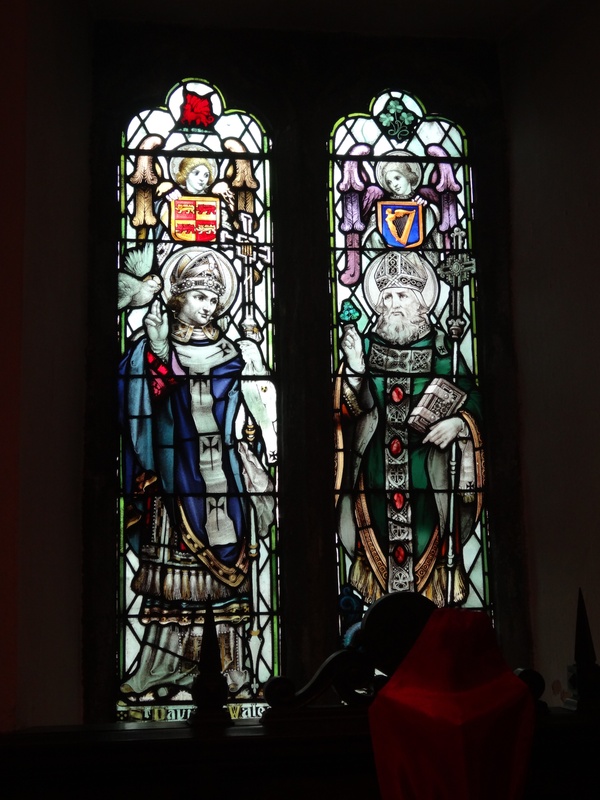 The windows each contain 2 lights, the figures represent the 4 patron saints of England, Scotland, Wales and Ireland. Above the figures are angels bearing the arms of each country and in the curved tops are the national emblems.